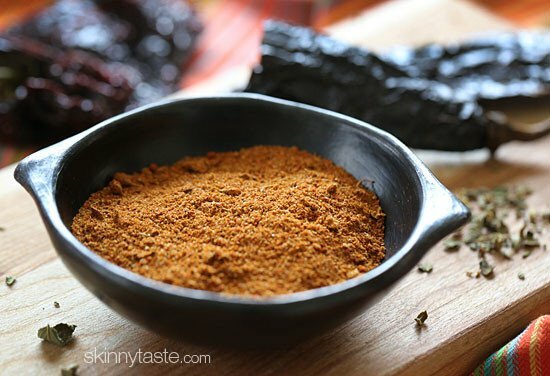 A fusion of Mexican and American spices – a dry rub that combines the flavors of Mexico using dried pasilla and ancho chiles, with spices commonly used in dry rubs across the American South. 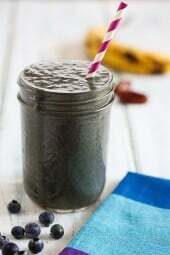 Make a batch and it will keep for months if stores in an airtight container. I don’t watch much TV, but one show I am pretty addicted to is Chopped on the Food Network. I love seeing what mystery ingredients the contestants will get, and love seeing what the chefs come up with under pressure. But what really gets me watching is the judges, at times they can be a bit harsh, which makes me thankful I’m not on that show. If you watch Chopped, then you probably recognize Aaron Sanchez, chef from Centrico in NYC. 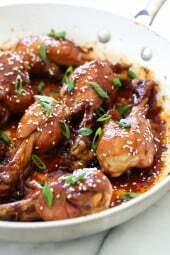 This adobo recipe is from his new cookbook, Simple Food, Big Flavor. I actually quartered the recipe and it still made a lot, and used it to make a delicious pork tenderloin from his book (recipe coming next), but thought this should live on a page of it’s own. 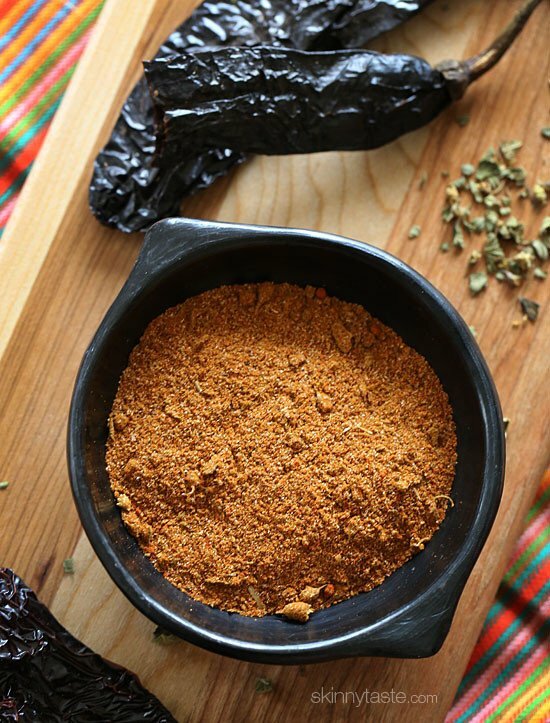 This can be used as a rub, for seasoning chili, stews, black bean soup and more. Heat a dry skillet over medium-low heat. Pour in the cumin, coriander, fennel and mustard seeds along with pieces of the pasilla and ancho chiles. Toast stirring constantly until aromatic and just begins to smoke, about 3 minutes. Set aside to cool on a plate. When room temperature, grind to a fine powder in a spice grinder. Put the powder in a large bowl and combine with remaining spices; stir well to combine. Store in an airtight container, for up to one month. Makes about 1/2 cup. Does anyone know if you can leave out the chilis? My husband and I do not like spicy – even mild. May be a silly ? So u can use this on all meats and all soups like chili. Have you tried this for tacos? Is this a spicy dish? Ok Gina… I don't know if you have tried this, but I made a nice large batch of this seasoning the other day. I used it as a rub on my brisket. Rubbed the brisket with the spices, I added cayenne for some heat, let it sit over night, and then smoked it for several hours the next day. It was exceptional. I love Red Robin's Ancho marinade and I have been looking for a recipe to make something similar (not that I know if this it or not). Where would I get the chilis? I have looked in my local grocery store and natural food store before. Any advice would help. I love your site! Many thinks! Where do you buy your dried chiles? I find them in the supermarket near me, but a latin market, or Penzey's online, or Amazon, or you can improvise by adding ground chile pepper. Hey! 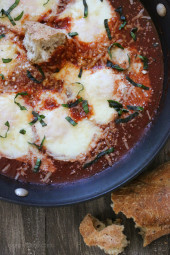 First, I love love love your site…thank you for all your hard work in creating delicious and nutritious recipes. I read your blog like I read a novel…I come on every day to see what the next "chapter" will say. Anywho, I normally don`t comment, but I noticed a typing error, so I thought you would want to know. Before you list the recipe ingredients, you say you can use this recipe as a run….I think you meant rub. I don`t want to sound nit picky, I just thought you would want to know. Thank you! I was too dense to figure out that she meant 'rub.' I was thinking 'run' was a cooking term I'd never heard, lol. Duh, some days my brain scares me. I really like this because it has no salt! 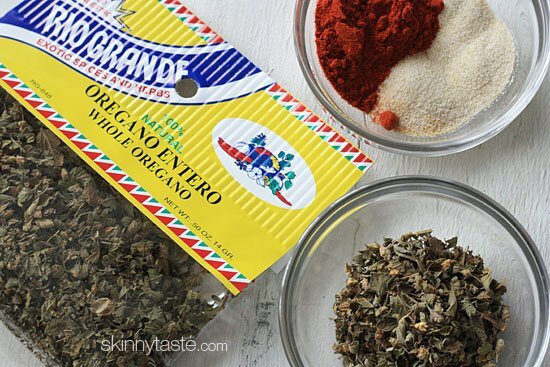 can you use the store bought adobe seasoning (the same you recommend for pork carnitas) and get the same flavors? Sure, wont taste the same since the ingredients are different, but it will still be good. Don't use too much since that already has salt. 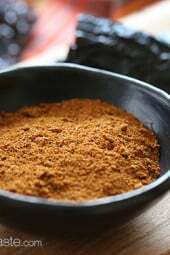 I can't eat pork, but this dry rub would be great on steak. Thanks for sharing this! Can you use any other appliance to replace a spice grinder? A coffee grinder would work. 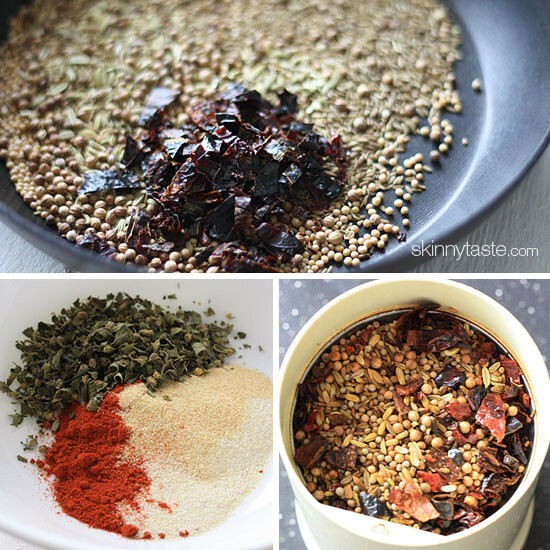 I have used a mini food processor to grind spices, and it worked great! I had the kind with the reversible chop/grind action. A coffee grinder works well, too. I use my coffee grinder also. 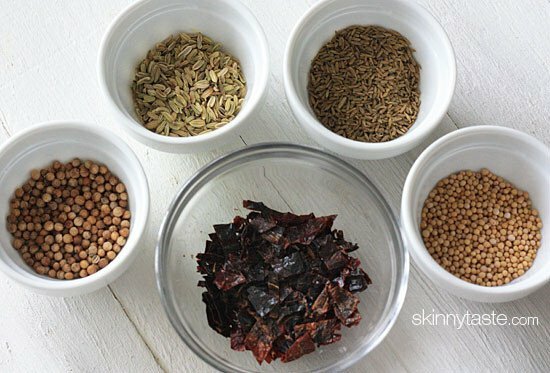 Just be sure you grind some dry rice in between coffee/spices so they don't share flavors! I can never find the dry adobo seasoning mix you call for in your crockpot pork carnitas. I'll have to give this a shot.